Gewurztraminer origins are a little obscure but nowadays it is generally accepted that it is in the Alsace region of France where it gained its prominence. 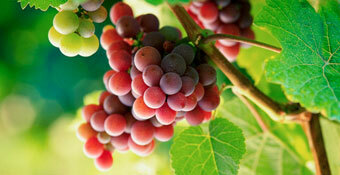 The variety is pink skinned and produces deep coloured and highly aromatic wines. Its distinctive aroma makes it, along with Sauvignon Blanc, one of the easier varieties to identify but the wines are quite different in character. In New Zealand it has been made both as dry and slightly sweet styles, with the latter being the more popular among producers. Varietal characteristics: Yellow; Straw; Golden; Floral; Passion fruit; Lychee; Ginger; Cloves; Cinnamon; Turkish delight.